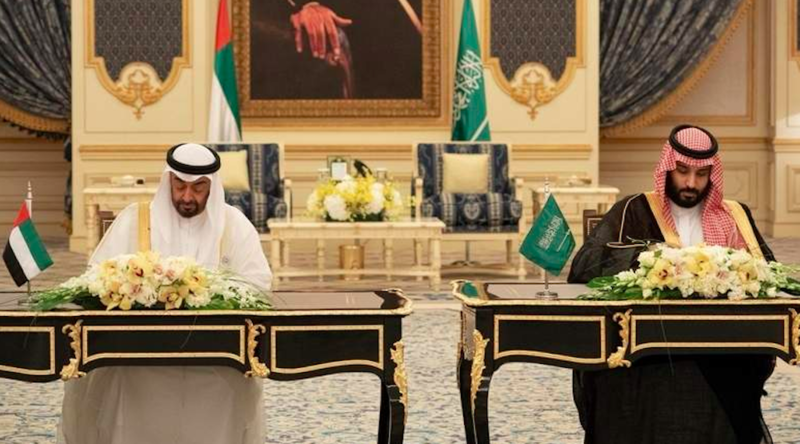 On Wednesday, the UAE and Saudi Arabia have announced a strategic partnership in 44 projects called The Strategy of Revolve. The projects included in the strategy cover several industries like economy, security, politics and military, food security, healthcare, banking sector, as well as setting up joint venture funds for oil, gas and petrochemicals, agriculture investment, renewable energy and small to medium enterprises. The strategy was prepared within a year by 350 government officials from different fields. His Highness Sheikh Mohammed bin Zayed Al Nahyan, Crown Prince of Abu Dhabi and Deputy Supreme Commander of the UAE Armed Forces, and His Royal Highness Prince Mohammed Bin Salman Al Saud, Crown Prince, Deputy Prime Minister and Minister of Defence, Chairman of the Council for Economic Affairs and Development, set a 5-year timeframe to implement the strategic projects aimed at creating new job opportunities for both countries. Strategy of Resolve opens new horizons for entrepreneurs seeking to grow in the UAE and Saudi Arabia or expand there. The decision comes after Saudi Arabia’s SME Authority made the licensing process for SMEs, incubators, accelerator and coworking spaces shorter and limited to one place. The next period of time looks exciting for entrepreneurs in the Gulf as both countries are striving to provide a good environment for living and conducting business.